This isn’t just an elaborate pretense to link to one of my eBay listings. So a long time ago, at the previous place of employment, we had two copies of Cerebus #1. One was an authentic copy, personally hauled by Dave Sim from his local printer to his home by the boxload, presumably. The other was one of those rotten, no-good, genuine counterfeit copies that some nefarious nogoodnik produced at the time, to take advantage of whatever secondary market was building up around this weird Canadian parody of Conan the Barbarian . Frankly, I’m surprised this sort of thing didn’t happen more often, particularly on the, shall we say, not-so-slickly produced small press titles that somehow ended up with a surprising mark-up in value. 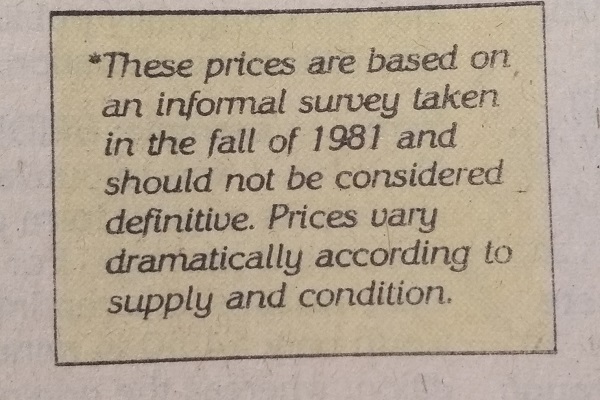 Granted, it didn’t happen a whole lot, and prices qould have to be awfully high to justify the cost of printing counterfeits…I mean, for the cost of printing “fake” copies of anther person’s comic, why not just put the resources into doing your own? Probably make just about as much money, when all is said and done. Anyway, I believe issue #2 of Cerebus was bootlegged as well, supposedly, and weren’t some of the early Teenage Mutant Ninja Turtles copied as well? Wouldn’t surprise me. 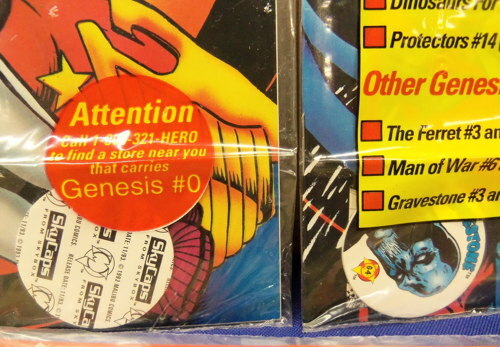 But, yes, at one time at the shop, as I was saying, we had both the real and the ersatz earth-pig debut issues. Can’t remember their prices now, but they weren’t very cheap, and we ended up selling them both to the same person (one of our regulars, and a huge Cerebus fan). For a time, though, it was pretty neat to have ’em in the shop, just to be appreciated as the physical objects they were. Yes, there were plenty of reprints of the contents, which I had, but there’s just something about having the actual item in your hand, the crudely-printed (oddly enough, the counterfeit slightly less crudely-printed) amateur publication that represented an individual’s imagination and triumph in getting it all down on paper and out into the world. I’ve read all of Cerebus . The “High Society” sequence and (to a very slightly lesser extent) “Church & State” remain absolute pinnacles of comic book storytelling. Even as the series wore on and became…well, let’s say “less accessible,” the illustrative standards of Sim and partner Gerhard emained remarkably high (well, aside from those issues near the end that were mostly text). Even the handlettering was nearly unmatched by anyone in the business. I’ve mentioned this on the site before, but some of you reading this may not have been born yet, so I’ll repeat it here. 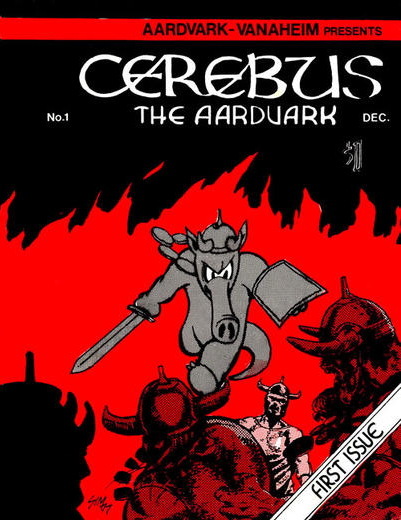 I was first exposed to Cerebus via an article in the old Starlog Press magazine Comics Scene . I thought it sounded pretty cool, but with newsstands being my source for comic books, I didn’t have access to the beginnings of the indie comics boom. That changed in the early ’80s, when I found out about the shop that would eventually become my job, and suddenly I had more indie comics than I knew what to do with. …Except for the first 25. At the time, there were the Swords of Cerebus collections, which reprinted all those issues. 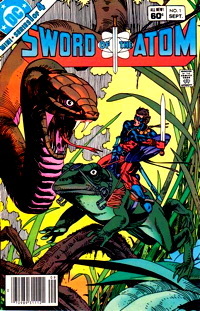 That was good enough for me, I thought then…the issues starting at #26 were already pricey enough, the earlier ones even more so, making the Swords books a sufficient alternative. Plus, they had short stories exclusive to them, which was a nice bonus. The reason I bring all this up is that, after seeing a link or something on the Twitters, I got to thinking about those early issues again. I divested myself of a good portion of my collection when I opened my own store, but I kept my Cerebus …I mean, yes, sure, there’s no real back issue market for them anymore, but that wasn’t the main reason. It was because I liked those comics, I put a lot of effort into starting that collection. And even if the latter part of the series felt like a…I’m not quite sure how to put it. A divergence, maybe, from the promise and the storytelling of the first half of the series, but it still remains an achievement, for all its flaws. It’s Dave’s comic, he could do what he wanted with it, and who am I to judge, but I can’t help but feel what I got in the end was not what I was waiting for. That’s what art does, sometimes. Okqy, I really wasn’t trying to delve into the criticism of the series…there’s plenty of that out there, and…yeah, they ain’t wrong. What I was thinking about recently, however…the thing that brought us all here today, was that old standby, the collector’s urge. The need to “fill the gaps,” as it were, to scratch those numbers off the ol’ creased and tattered checklist. Not that I’m been actively seeking the first 25 issues of Cerebus this whole time, but I got to thinking about them again, and about how I loved acquiring each new back issue to add to my run, how each individual issue felt like something special, with those great covers. Like, back to that #1 we had, it was a representation of someone’s dream put directly in my hand. Not a corporate character produced out of some huge, professional publishing house. It was like one of series of letters, from my Canadian pal Dave who wanted to tell me a story. Realistically, I don’t know if I’m actually going to go through with trying to track these down. I don’t think I’ve had one of the early issues show up at my own shop yet in any collections. Well, there were the pro-graded copies of #8, #10 and #12 that a friend…actually, the very same friend who brought that #74 to school so long ago…had me sell on his behalf. I still have the #8, and there is a very small temptation to just keep it and pay my pal for it. I won’t, as Businessman Mike outvotes Fanboy Mike here, but I’m definitely keeping an eye out for reasonably priced copies now. “Reasonably priced” is the trick, of course. A quick glace at the eBay reveals all kinds of prices on the earliest issues. Even the counterfeit #1, once listed with no value in the price guide, is selling for well over a grand (in one of those plastic slabs, of course). Quite a bit over whatever we sold ’em for at the old shop, I’m sure. I do have the run of Cerebus Bi-Weekly , which reprinted all those early issues in their entirety, including editorial matter, letters pages, and ads, but it’s not quite the same. I realize it’s a fetishizing of those originals, when technically I already have everything that’s present inside them. I do really enjoy them, though, and while I may not love what Cerebus eventually became, I still have that strong nostalgic love for what it was, and how I felt as I slowly pieced it all together. Wanting my own copies of those initial almost-a-baker’s-two-dozen issues almost certainly stems from a desire to recapture that feeling, an old fan’s desire for when times were simpler, and the fun of collecting was at its peak. If it’s one thing I need, it’s more “to read” piles of comics at home. So I’ve been going through box after box after box of comics at the store, just piles of ’em from collections acquired over the last few years, and finally making some headway in getting the processed and put out for you, the people, to come and buy. I’ve been pretty good about not pulling from said boxes to fill my own collection…plenty of stuff I’d love to have, but I’d love to make money on selling it even more. By and large I just keep to filling holes in the ol’ want list on things I’ve been seeking out for years, like some of the Atlas/Seaboard comics from the ’70s, and fanzines of pretty much any period. Oh, and the occasional Charlton Popeye . Jumping back a bit, to back when I was but a mere non-comics-retail-working mortal, like most of you common folk out there, I was pretty good about picking up comics I was interested in. 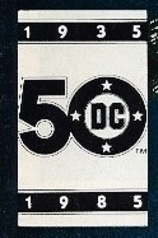 Particularly throughout the 1980s, when DC and Marvel discovered he idea of “mini-series” and put out a boatload of purposefully short-run titles, many of which caught my eye and were dutifully snatched off the racks by my young allowance-stretching self. However, there were a couple of series that I wanted to pick up, but, for reasons long forgotten by God and man (but probably related to “that allowance can only stretch so far”) I never did get around to acquiring. One such as Sword of the Atom , basically “The Atom as Tiny Conan the Barbarian,” featuring some of that great 1980s-style Gil Kane art that the Kane purists may have pooh-poohed at the time but that I really enjoyed. As it turned out, a run of that original Sword of the Atom was present in the stacks upon stacks of comics I was processing, and set it aside for myself. It did inspire me to check the ol’ Diamond Comics database to see if a trade paperback existed, collecting this mini-series and the three subsequent specials (which I did not have in the piles here at the shop, far as I could tell). There was a trade, published in 2007, and apparently long out of print, and going for some not-terribly-high but more-than-Mike-wanted-to-pay prices on your eBays and your Amazons and such. Mentioning my quest for the remainder of this series did bring pal Nat into the shop with the first special for me, which was very nice of him. However, a Twitter pal picked up a copy of the trade in the clearance bin at his local shop for dirt cheap, and it is now winging its way to me via the tender mercies of the post office. 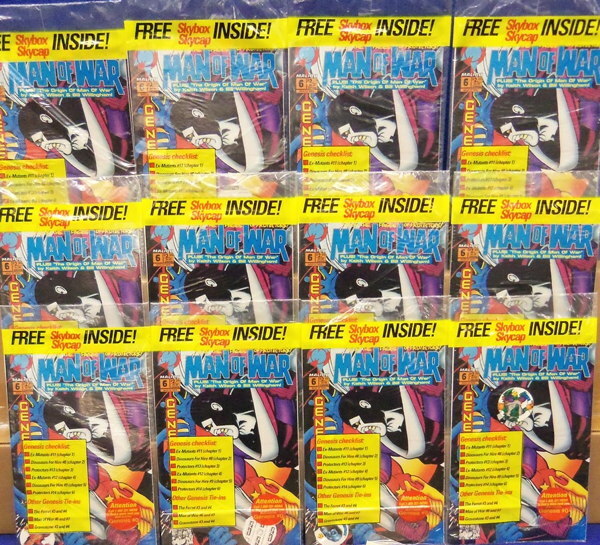 Thus, with its eventual arrival, that will be one less missing comics experience from my youth. And I’ll be able to put those issues of the mini-series back out for sale…though I’m not sure what to do with the special, since Nat gave that to me as a gift. I’ll have to ask if he wants it back! 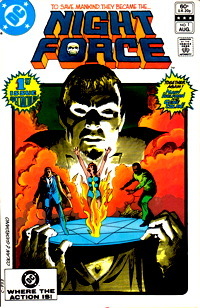 Now another comic that I inexplicably passed on during its original run was Night Force by Marv Wolfman and Gene Colan. 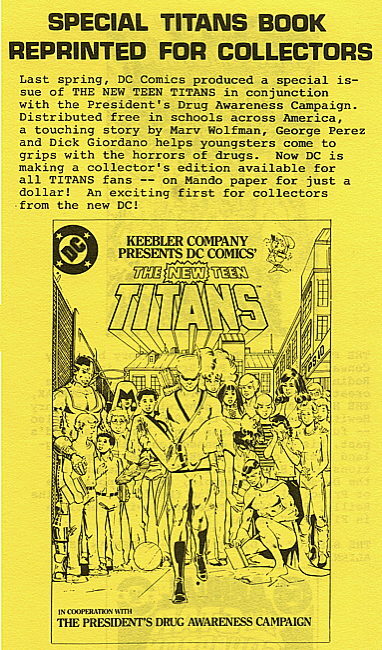 I was reading New Teen Titans at the time, and in issue #21 there was a special 16-page free insert previewing the forthcoming Night Force title. Now, I liked that preview. I was into Gene Colan’s super-moody art, and I was enjoying Wolfman’s work on Teen Titans , and I was a fan of horror comics…or at least the weird, creepy off-on-the-distant-edges-of-the-main-fictional-universe books like, oh, say, Swamp Thing . But, again, like with Sword of the Atom , and for probably similar reasons, I did not pick up with series. Not much later, the main character of Night Force , Baron Winters, plays briefly into one of Alan Moore’s Swamp Thing storylines, which just sort of added to the “well darn, should have picked up that series” feeling I had. But I still didn’t. Even working at the other comic shop which had no end of full runs of Night Force (only 14 issues long, mind you) didn’t get me off my duff to pull a set aside for myself. Many years later, a collected hardcover edition of that series was announced, and I sort hemmed and hawed over getting one for myself at the time. I did wait, however, and not too long ago I did finally get my hands on a new copy of the book for a bargain price. And I’m glad I waited…the printing on the original comics wasn’t awful, but seeing Colan’s art recolored on nice paper is a real treat. Its title of “The Complete Collection” is bit of a misnomer, in that there were two follow-up series (in 1996 and 2012)…these were also written by Wolfman, but drawn by Brent Anderson (2nd series) and Tom Mandrake (3rd series). Not collected, and probably harder to find in the back issue bins. If only I’d bought that first series at the time, then I would have bought series 2 and 3 as they were coming out, and I wouldn’t be in this mess now. And there’s your little bit of insight into what your pal Mike still gets for himself. I mean, I even bought the full run of Spanner’s Galaxy at the time, I have idea why I passed up those two series. 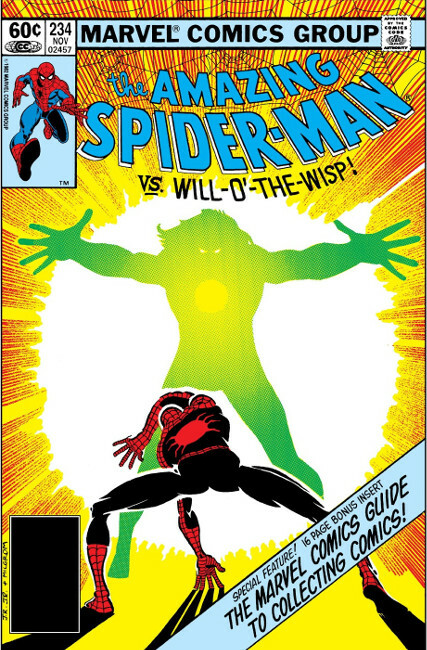 I sort of preferred Marvel using “Distinguished Competition” as a nickname for them. 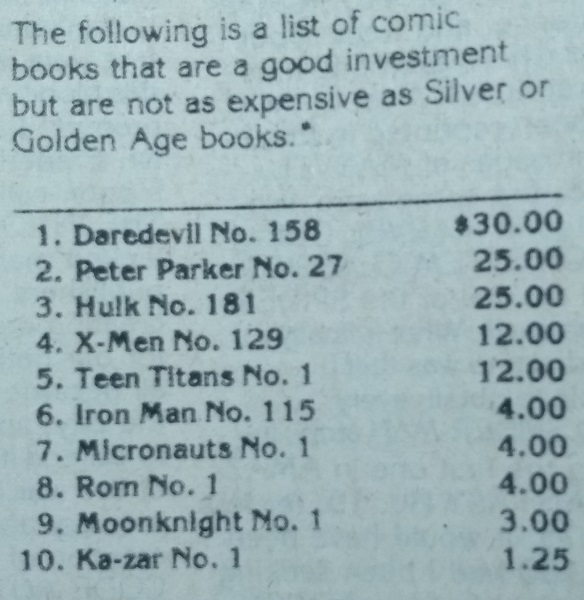 Occasionally the One Remaining Comic Book Distributor in the U.S. will run some deep discount sales on stock for retailers, and recently they unloaded a bunch of Marvel’s Omnibus editions and Marvel Masterworks volumes for prices ranging from “well, that’s a little less than normal wholesale” to “whoa nelly that’s cheaper than a cheap thing that’s cheap.” So natch, I loaded up on a few items for the shop and offered them at discounted prices, and everyone’s happy. I’m especially happy, because a couple of the items offered were of particular interest to me, and at the ridiculously low sale price I picked them up for myself. One is the Howard the Duck omnibus, including the entire original series (including the couple of later issues released around the time of the movie), his previous appearances in Man-Thing comics, that one treasury edition, and something from Foom magazine that I haven’t looked to see what it is yet. I’d actually been on the lookout for discounting on the HtD book after getting my giant-sized Man-Thing omnibus on the cheap a while back. Now, I have an ulterior motive for this…primarily, getting these reprints in a nicely-printed permanent edition frees up the actual comics from my collection, allowing me to put these out for sale in my shop. You’ll notice that post about the Man-Thing omnibus went up around the time I was beginning to open my store…well, suddenly, I had full runs of two Man-Thing series, a bunch of issues of Fear , some Giant-Size Man-Thing , and other odds and ends I was able to turn around for the most part. It more than covered the cost of the omnibus, and provided some sorely-needed store-opening cash besides. Thus, theoretically, I should soon have a full run of Howard the Duck plus Asst. Materials for sale in the shop…though I 1) already have a number of those issues in the store right now, acquired from other collections, and 2) I kinda wish I kept those Man-Thing s now that they’re gone. Logically, I have all the stories, so I don’t really need them, but there was some small measure of sentimental value to them. Plus, omnibuses are a lot harder on the scanner if I need to grab any images out of those comics. But hey, that’s life, so I’ll get those Howards into the shop regardless. Now it’s been a while since I’ve read my run of it, but getting a hardcover volume with the artwork printed on paper that isn’t slowly turning to dust has inspired me to dip into this zaniness again…as, you know, time permits, since I’m constantly behind on reading everything. 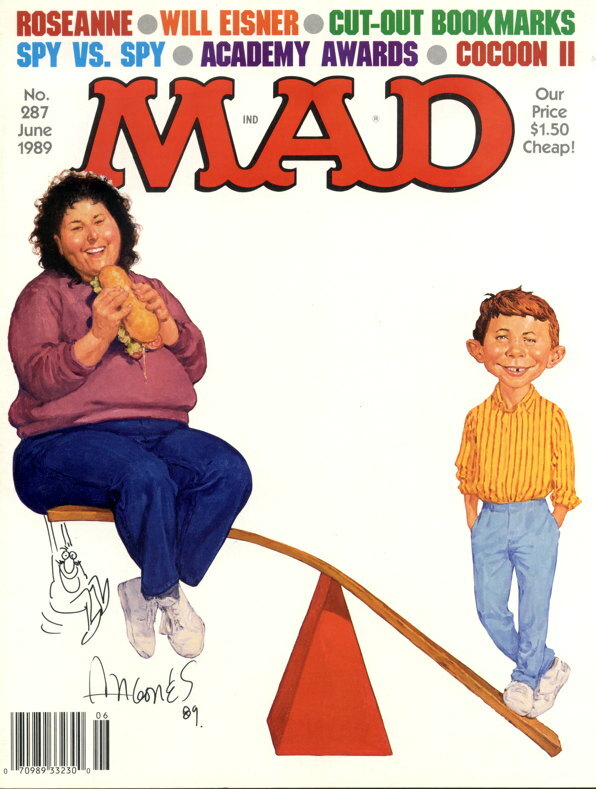 And what I’ve read so far is very funny…very early Mad Magazine-ish in that every square inch is filled with a joke of some kind, and all the more remarkable that it was the very creators of the comics themselves doing the parodies. Yes, it’s the dreaded “Official Parody” that should be toothless and boring, but Not Brand Echh often reads like Stan and Jack and the rest of the gang blowing off some steam after toiling away at the Marvel Universe for so long. 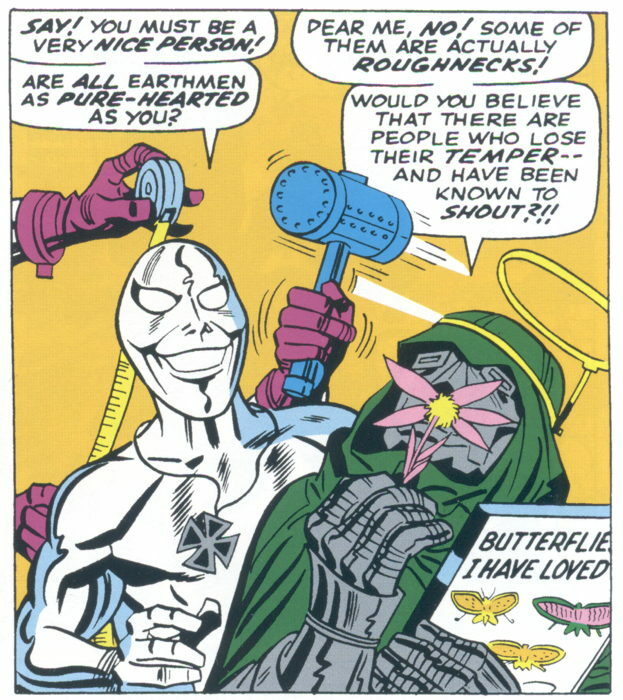 The more I look at this panel, the more I think there’s no way on God’s green Earth that anyone could have come up with a funnier book for Doom to be reading than “Butterflies I Have Loved.” I don’t know why that puts a stupid grin on my face every time I see it, but good gravy that one panel alone is funnier than entire issues of supposed humor books I’ve seen of late. Those Lee and Kirby kids, they’ve got some talent. And now that I have this book, a run of Not Brand Echh should be making it into the “New Arrivals” back issue bins at the store as well. If, of course, I can convince myself to bring them in.